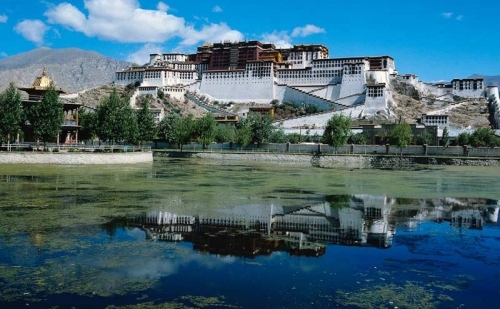 Enjoy authentic Tibetan culture by visiting the most unique Buddhist monasteries and sites, such as Potala Palace, Jokhang Temple, Palcho Monastery, etc. 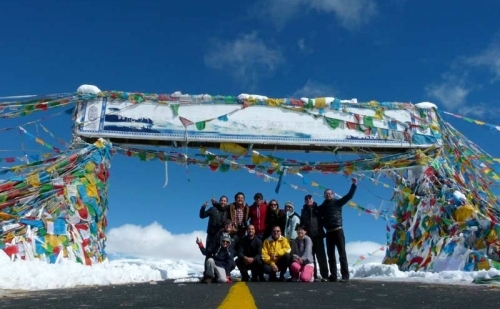 Overland trip to Mt Kailash and Lake Mansarover is one of the most fascinating destination into the Tibetan landscape and into the most beautiful wilderness of the Himalayan range. 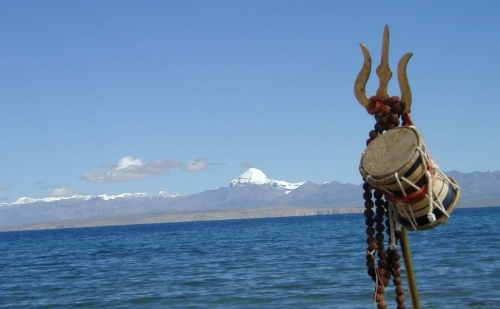 Mt Kailash the holy land of Lord Shiva is blessed with natural and cultural serene. This fascinating pilgrimage destination is famous for its unseen and unexplored landscape, Himalaya scenery and religious settlements. Lake Mansarover the Himalayan Lake situated at the roof of the world surrounded with mighty Himalayas and high peaks is the most attractive scene of this tour. National Geographic in 2013 considered Kailash Mansarovar as the best hiking trekking trail. Mt Kailash (6,740m) lies among the highest peaks in the region and is situated to the north of the Himalayan barrier, wholly within Tibet. Religious beliefs within Hinduism, Tibetan Buddhism, Jainism and pre-Buddhist animistic religion Bonpo have their own myths to tell and each worships the sacred mountain. Besides Mt Kailas lies the huge beautiful lake Mansarovaron in the Tibetan plateau that is believed to wash away every sin and attain salvation if one dips in it. Once regarded as difficult, the journey is eased off by the entry of Landcruiser via Kathmandu. Kailash and Mansarovar Overland Tour commences with a drive to Nepal-China border, Kerung from Kathmandu. After clearing the immigration processes we head towards Nyalam and spend the night there. The drive to Dongba follows and en-route, Lalungla pass (16000ft), the huge Paigu-Tso lake and Brahmaputra rivers scenic beauty will take your breath away. Darshan of Lord Shiva and parikrama of Lake Mansarovar is a lifetime experience if you are a devotee. After the parikrama, the drive continues back to Darchen. 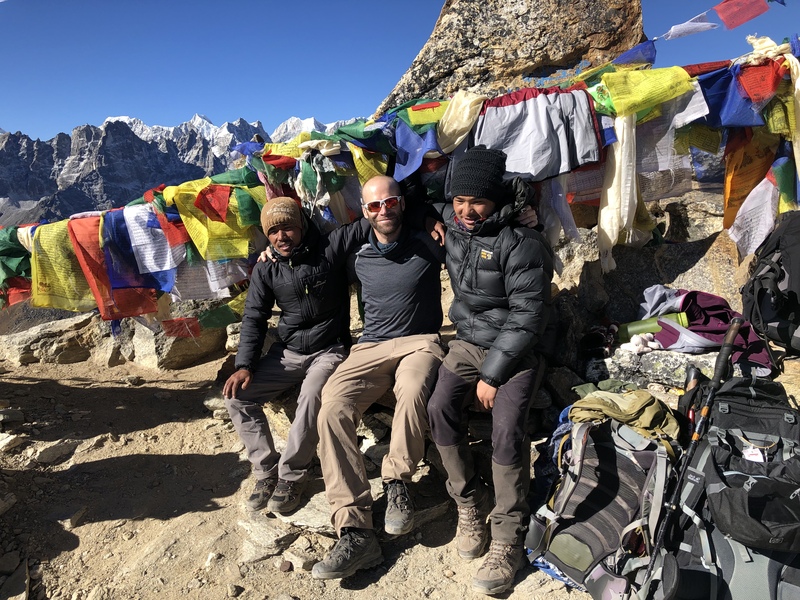 Darchen- Tarboche Dirapuk is a really tiring journey and so is the trek through Dolma- la Pass, descending to Gauri kund and further walking along the river to Zuthulpuk (22 km). The trek continues for around 8 km and we drive to Darchen and further to Lake Mansarovar. The return journey is through Dongba, Nyalam, Zhangmu and finally to Kathmandu. Manasarovar Lake: With Kailash Parvat Mansarovar Lake is another sacred pilgrimage destination for devotees. This lake comprised of two Sanskrit words Manas mean mind or consciousness and Sarovar meaning Lake. People circumambulate this lake, dip into its cold water and drink it with the belief of earning Punya (good deeds) to secure their place in heaven after death. The 70m depth Mansarovar Lake with lotus having eight petals is 4580 meters above the sea level spreading out with a circumference of 90 km. it takes three days to rotate this gigantic lake. As sacred Mount Kailash Mansarovar has age long history with spiritual and religious significance. Hindu believe it as is a bathing place of Lord Shiva and Parvati, Buddhist believe it as a place where Buddha meditated and got enlightenment and Jain believe it as a place where their first saint achieved Liberation from this mortal life called Salvation. However all religion consider this lake to be the purest water body with the power of eternity. The breath taking scenario of the simmering emerald water waves effaces the agony and pain of every heart. If you want to enroll yourself in an unforgettable holy trip on this sacred land, remember the travel company Monterosa is always here at your service. Green Valley Nepal Treks leave no stone unturned facilitating you: after all your comfort is our achievement. Day 7 :Trek Dira Puk-Zuthul Puk, 18km, 6-7 hrs, 550m ascent, 600m descent. Day 9 :Drive back to Kyirung (232km) 6-7 hr. Private Transportation by Van or Mini Coach as per group size. Day 1 :Kathmandu – Drive to KerungWe drive from Kathmandu to Nepal Tibet border along a scenic highway. After immigration formalities at the border, you meet our Tibetan guide & driver. After some briefing, we drive to O/N at Guest House. Day 2 :Stay at Kerung for acclimatization. Acclimatization activities. Hiking and rest Acclimatize in Kerong before further driving. A free afternoon looks around. O/n at Guest house. Day 3 :Drive Kyirung to Saga/4450m- 232 kmFirst day with a long drive on the desert terrain. Driving past nomad camps and sheep and yak herds. We can see Gaurishankar, Shishapangma and Langtang Himal from the pass. Continue to drive through Khunmen Tso, Sinling, Karru Ongchen and Peiku Tso Lake (4400m). We will be crossing the river Brahmaputra ( “Yarling Tsangpo” in Tibetan ) to reach Saga (4600m). O/n in the guest house. Day 4 :Saga to Paryang (4558m) to Mansarovar (4600m) 507 km 8-9 hrsWatching the mountains in distance and driving through road we pass through the small town of Zhongba before reaching to Paryang. Offering the first view of Mt Kailash and the holy lake only after several hours of drive. As you approach this serene and sacred lake, historic Chiu Monastery becomes visible on the North West shore of the lake. From this vantage point, you can have a glimpse of majestic Mount Kailash. 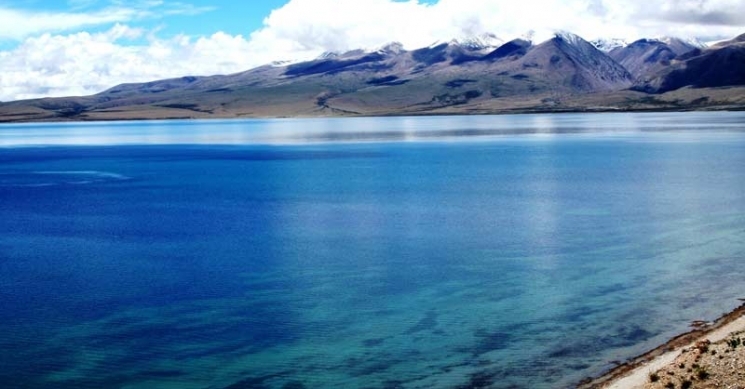 Manasarovar, the highest fresh water lake with turquoise complexion - surrounded by mt Kailash, Mt. Gurula-Mandate and Lake Rakchyas is simply heavenly. O/n at tented camp or a guesthouse. Day 5 :Drive to Darchen (14975ft) 40kmAfter some peaceful hours at the shores of the sacred Lake Manasarovar with the snowy massif of Gurla Mandhata 7694m just across the lake, we drive 40 km to Darchen which serves as the base for Mt Kailash kora ( circumambulation). The Kora is 53 km in total and completed in three days. O/n in a guesthouse. Day 6 :Trek to Dira-Puk/5000mIt is one of the exciting days walking along the beautiful rocky cliffs and waterfalls with some clouds in the clear blue sky. The 15 km trail takes almost 7 hrs. O/n intended camp/Guesthouse. Day 7 :Trek Dira Puk-Zuthul Puk, 18km, 6-7 hrs, 550m ascent, 600m descent.Hardest but Holiest day of your pilgrimage trek, cross Dolma La pass at 5670 m. Once you reach the top, just do the holiest offering and sit down for meditation to forget you. By the late afternoon, you will arrive at Zuthul Puk where the great ascetic Milerappa is supposed to have performed miracles. O/N at local guest house/Tented camp. Day 8 :End of Kailash Parikrama and drive to Saga Complete the kora and drive to back to Saga. O/n in Guesthouse. Day 9 :Drive back to Kyirung (232km) 6-7 hr.Drive back to Kyirung (232km) 6-7 hr. Day 10 :Kyirung to Kathmandu 150 kmDriving further to Nepal Tibet border, complete the immigration formalities, get your Nepal visa. Say Guesthouse to your Tibetan guide and driver. You will be received by our guide from Kathmandu and drive to Kathmandu. End of the services. Your passport should at least 6 month valid count from travelling date and you should bring same passport which you send us for permit while at trip confirmation. 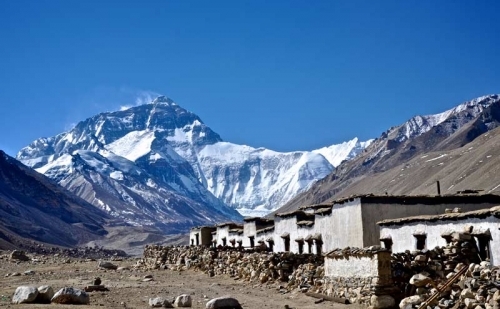 Of total 53 km Kailash Parikrama / Kora/round, 38 km must be walk/trek from Yamdwar to Chongdo. There is no any car/bus and jeep service available. So, everybody should walk or ride horse. It is also possible to hire pony and local porter for 3 days. Age limit for enrolling Kailash tour is 12-69 year old for Indian passport holder. 12-65 year old people can only do Kora and 66-69 year old people can travel only up to Yamdwar. Although you dont need any heath certificate from doctor you need to be physically fit for Kailash and Mansarovar tour. The minimum age restriction for other country passport holder is 12 years old while there is no such maximum age limit. Your passport must have at least 6 months or more validation from travel date. Though popular as Shivas abode, we cannot see any temple of Lord Shiva but at Khojarnath there is the temple of Lord Ram, Sita Laxman in Khojarnath. You can see Rashes Lake one the way. Hor - Chiu Gompa (Nearby Manasarovar Lake)- Darchen - Yamadwar - Darchen Hor. Eco vehicle blue bus must be used compulsorily for traveling which we can get from Nagri Tourism of Bureau in Darchen. Every Yatri have Life, Medical, Rescue Jeep or Helicopter insurance before getting enrolled in Kailash Tour. Do insurance at home country. We provide Pressure checking machine, Oxygen level checking machine, enough oxygen bottle, Mask-regulator, Altitude Gamo bag (Lifesaving chamber bag) Medicine Dimox (Latitude medicine) for safe journey.